Today I put together this top using some of the fabric I purchased recently. 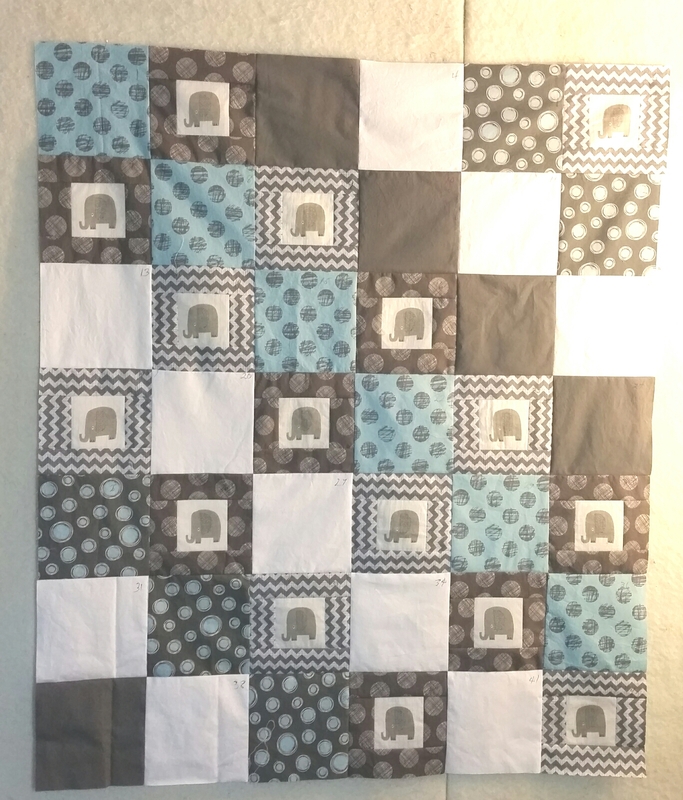 I have a fun piece of polka-dot flannel for the backing. 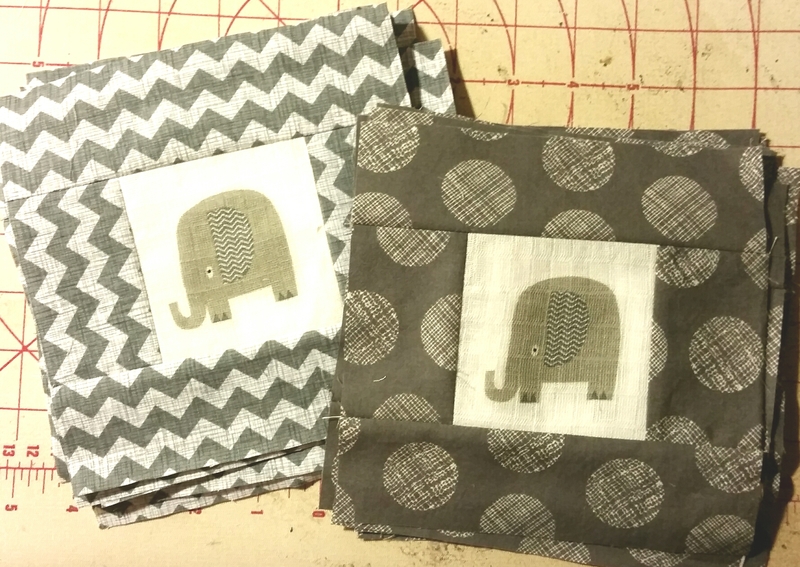 Categories: Uncategorized | Tags: baby quilt, elephant quilt, Evening in the Garden | Permalink. I love the quilt, it really speaks to me. Those elephants are amazing. This is lovely, nice muted colours that are very soothing, and of course it’s got elephants, so what’s not to like!